Starting the first week of August, you’ll notice a new look and feel for Brightspace. Your common workflows and the way you use Brightspace tools aren’t changing, but you will notice some positive interface changes. These changes are designed to make the experience more consistent and visually appealing for students. Examples of Brightspace’s new Daylight Experience user interface as seen on a laptop, a tablet, and a phone. The new course tiles help to visually organize the ‘courses’ page. The new look includes a cleaner interface, new fonts and updated icons. The new user interface, called Daylight, was built with a responsive design. This means that it adapts to different screen sizes and looks great on laptops, tablets and smartphones so that Brightspace is more accessible on more devices. • New image library with over 3,000 images that you can choose from for new course tilesFaculty and instructors can continue to develop courses for fall 2017 — no action is needed. Summer courses that are currently in progress will see the new interface when it goes live. 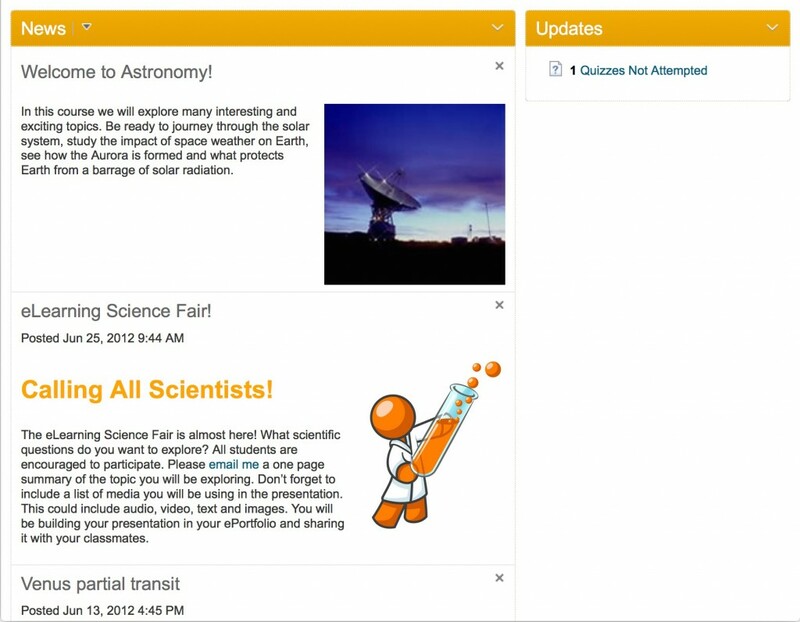 The Brightspace tools will automatically adjust to the new layout when it goes live in August. ⇒Technical questions? Contact Academic Technology Services (ATS) in the Dalhousie Libraries: intech@dal.ca or at (902)494-3456. As an instructor of a specific course-space in Brightspace, you will need to ensure that the materials and readings you are loading into Brightspace are copyright compliant. When you first login into Brightspace, you will be prompted to answer a question about this. So, what does this mean? 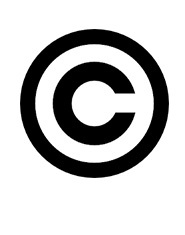 How do you know if your material is copyright compliant? At Dalhousie we have created short video tutorial which can help answer these questions. It explains Dalhousie’s Fair Dealing Guidelines, licenses and where to go for additional help in addressing copyright questions. Thank you for playing your part in helping to foster ethical and sustainable copyright practices here at Dalhousie! At this point in the project, we’ve had a chance to refine our migration processes and thought it would be helpful to describe the process so that instructors have an idea of what to expect as the migration unfolds across the institution in phase 3. All courses taught in the Spring/Summer 2016 term and onwards will be taught in Brightspace, regardless of Faculty or Department. Upcoming academic course spaces will be developed automatically in Brightspace a few months before the start of each term. All upcoming ‘academic’ course spaces are created as blank spaces, and instructors are able to build from scratch in these spaces if they choose. There is also the option for instructors to copy content that has been migrated from Blackboard. If an instructor has taught the same course recently on Blackboard, that content will be made available in a separate ‘migrated’ course space for review. If the instructor wishes, they are able to copy some, all, or none of the migrated content directly into their ‘academic’ space. The instructor could also choose to maintain the migrated course space as reference for the next 12 months as they build anew in Brightspace. The first step in our migration process is for the migration team to take a snapshot of the content of each course to be migrated from Blackboard for each term. These snapshots, or packages, are then transferred to Brightspace to be imported into a ‘migrated’ course space. 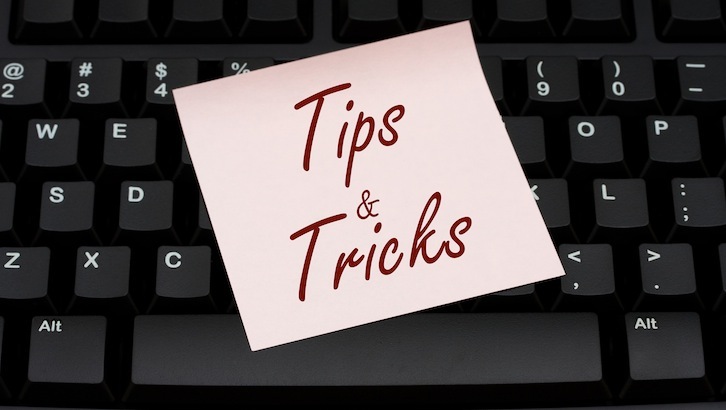 The behind-the-scenes import process is mostly automated and the content transfers over well, however, student employees still access every migrated course in Brightspace to check for accuracy and consistency. After the migrated content has been verified, it is returned to the original instructor for their reference or potential reuse. There will be some delay between when the course becomes unavailable on Blackboard as the snapshot is taken, and when access to the content is available for the instructor in Brightspace. We are continually improving our processes to minimize this delay, but in all cases we will ensure that instructors have access to their content a minimum of 3 months prior to the start of the upcoming term. When choosing which courses to migrate automatically, we are referring to the academic timetable to determine when a course was last taught in Blackboard and whether it will be offered by the same instructor in Brightspace. We will also be able to migrate courses on request if a course is not taught every year or if an instructor normally teaches a course but will not be teaching it this year and wants their content migrated for reference or future reuse. If an instructor wishes to share their content with an instructor teaching an upcoming offering, please notify intech@dal.ca, with authorization to release the content, so that we can include the course in the bulk migration. An important note to consider in the migration is that no user or student generated material is brought into Brightspace. For example, the migration process will not include past grades, discussion postings, assignment submissions, quiz statistics, usage reports, etc. These items must be archived separately and maintained by the individual instructor, if desired. Instructions on how to archive this user/student material will be communicated shortly. The homepage is the first impression of your course that students have, so you want to make sure it is practical, functional and easy to navigate. The standard default course homepage is intentionally very basic with and only contains two widgets – News and Updates. You can create new homepages to reflect the way you teach or the kind of engagement with the space you would like students to have. This short two-minute video might help you generate ideas on how best to build out your homepages for your courses. To access other video resources and training materials, go to dal.ca/elearning and click on the link to training resources. They say hindsight is 20/20. Here is some of my ‘hindsight wisdom’ which I offer hoping it helps other colleagues prepare for their initial use of BrightSpace. Having adopted and used 4 different LMS (webct, Moodle, Blackboard, BrightSpace) in the last half decade, many of us at the Faculty of Agriculture have a certain level of ‘experience’ in adopting a new LMS. Number 4: Having fondly remembered webct, nevertheless, I state without reservation that BrightSpace is the next most instructor and student-friendly LMS I have experienced. I hope you find that too as you adopt it. Number 5: I learned quickly to use the widgets and prefer the widget selection list organized by Name and not Category (the categories did not resonate with me). Number 7: Migration – I opted to have just my files and folders moved into BrightSpace and I chose to design my own Course Content menu and front page. That decision was founded on my emerging level of comfort and confidence (yeah, sandbox!). Number 8: Loving Widgets; Wishing for Gnomes…. But that is the next blog entry! It has been a busy few months for the technology-enabled learning LMS (Learning Management System) implementation project. From April-June 2015, the project team worked with D2L (the company behind Brightspace) to configure Dalhousie’s instance of Brightspace. During this time, Dal’s trainers, including Instructional Designers, Systems Administrators and Faculty Support staff, received core training from D2L. We also began development of training and curriculum materials (these efforts are on-going). These programs were chosen because of their self-contained nature which would limit the number of faculty and students using two systems. Each early adopter group was invited to a Needs Analysis in mid-June, after which, a training program was developed and implemented for each group. Training began mid summer, and is still taking place. Course migrations for phase one participants took place over a three-week period beginning in early July. During this time, a snapshot of each course in Blackboard was taken, so that the migrated course in Brightspace could be cleaned up and matched to the Blackboard course. Course migrations have gone smoothly and the project team is actually ahead of schedule. Phase one adopters have also had their January 2016 courses migrated from Bblearn to Brightspace. This summer has been a learning experience for everyone involved in phase one of the pilot. The LMS will officially launch on September 1st when the Centre for Advanced Management Education begin their live classes in the new system. It has been a collective effort throughout the summer and we are prepared for the launch of Brightspace at Dalhousie. You can find out more about the TEL LMS implementation project by visiting dal.ca/elearning. Please contact the Project Manager, Doug.Rogers@dal.ca if you have any questions.